probably 'Mercury Studio', NYC, Tuesday, June 6, 1950. CR: Mercury Records. NYC, Wednesday, January 17, 1951. CR: Mercury Records. Miles Davis (tp); Charlie Parker (as); Walter Bishop Jr. (p); Teddy Kotick (b); Max Roach (ds). 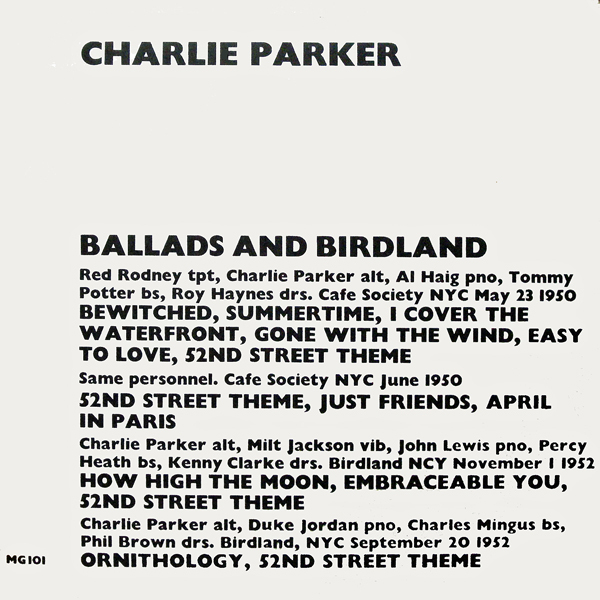 Charlie Parker (as); Milt Jackson (vib); John Lewis (p); Percy Heath (b); Kenny Clarke (ds); Bob Garrity (m.c.). 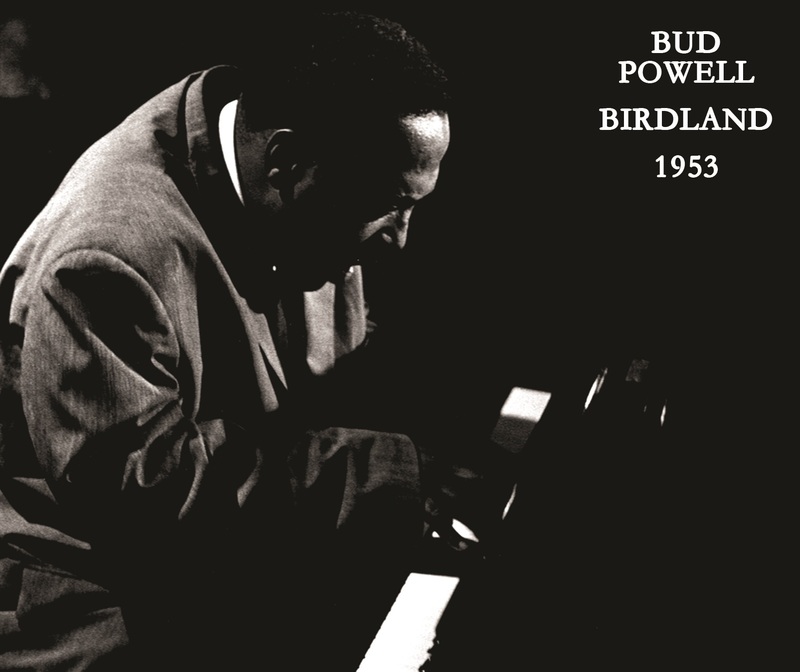 recorded at Birdland, NYC, on November 1, 1952. Charlie Parker (as); Duke Jordan (p); Charles Mingus (b); Phil Brown (ds); Bob Garrity (m.c.). Kenny Dorham (tp); Charlie Parker (as); Tony Scott (cl -v, w); Al Haig (p); Tommy Potter (b); Roy Haynes (ds). 1941, February 06. Kansas City, MO. Charlie Parker (as); Bernard "Buddy" Anderson (tpt); Orville "Piggy" Minor (tpt); Harold Bruce (tpt); Joe Taswell Baird (tb); John Jackson (as); Harold Ferguson (ts); Bob Mabane (ts); Jay McShann (p); Gene Ramey (b); Gus Johnson (d); Joe Coleman (voc).